The SMART Speaker Series in association with SMART Community Exchange (SCE) and Eco Commerce Exchange (ECE) is now in production. From live events and select local venues, to an on-line presence that enables the worlds of social media and live performance to seamlessly meet, the ECE experience is about collaborative learning, discovering new business opportunities and unique contacts.The ECE is always open and just waiting to be discovered. The Speakers have at least one thing in common - they share insight, provoke thought and stimulate conversation about compelling and timely issues, stories and events. By offering entertaining educational opportunities that are unique and unavailable elsewhere, ECE continues to attract expert Speakers from around the world. 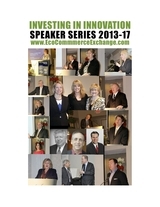 The first Speaker Series in 2013 featured a number of highly regarded experts in the field of Eco Commerce. The lecture program has since expanded to include internationally renowned business executives, investors, entrepreneurs, policy makers, philanthropists, scientists, authors, media experts and other luminaries. The Eco Commerce Exchange (ECE) has become a well-established and highly regarded highlight of the global commerce, and an integral part of the international business community. The ECE works closely with organizations around the planet to identify Speakers who have particular appeal for ECE's fast growing international audience of over 2 million business executives, values-based investors and donors, entrepreneurs, and policy leaders. The Speaker Series also addresses an important role of ECE's global mission - public service in the communities - by dedicating speakers to address education and other societal issues and concerns. All production expenses for the Speaker Series are covered by sponsorships. NO state funds, research foundation funds, donations or general gifts are used to fund or support the Speakers or programs. We help business executives, investors, and philanthropists seeking potential partnerships to find projects and engage investors with enterprises, organizations and communities around partner projects by region. This speaker series is about bringing best practices to market. ECE brings together individuals and organizations in a way that does not require a large investment of funds and time. By pooling our contacts and resources, we can find new opportunities to bring innovations to market in a quick and efficient manner. Together, we can overcome market penetration challenges and remove barriers accelerating access to markets, funding and government approval process. The role of Information Communications Technology (ICT) as an enabler for other companies to grow and reduce their emissions is important. ICT plays an important role for business and personal use helping companies boost their profits by driving energy efficiencies and transforming the way we live and work. ICT has a key impact for Eco Innovation. 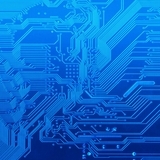 ICT offers a range of possibilities to help build and disseminate knowledge, reduce mobility needs through teleworking opportunities, dematerializing products through digital equivalents or intelligent optimization of energy consumption, and handheld communications devices allow a transaction to occur quickly and efficiently decreasing the risk of human error. The potential contribution of ICT to eco innovation seems clear and is increasingly recognized. We have identified a number of key domains of ICT development which appear to have potential to support eco-innovation. ICT systems are often used to provide people with warnings and information regarding threats like extreme weather events. By using ICT systems, urban and rural planning can be improved and solutions can be tested based upon their resilience. Smart ICT can bring down costs for health and allow correct treatment, especially in case of pandemics and new health challenges where local knowledge might be insufficient. The key to resilience in any society is education. ICT can help reduce costs, enable access and improve the quality. Knowledge and understanding of the effects of human activity on our natural capital and ecosystems, and insight into the technological, economic and socio-cultural principles that underpin eco-innovation and sustainable development. The realm of information and communications technology, principles, applications and systems. Skills for turning ideas into practical, productive and desirable outcomes. We increase the effectiveness of information and knowledge flows between government agencies, businesses, research groups, environmental organizations and the community. We support and reward experimental behavior and creative and inventive thinking. We contribute to the establishment of a generally positive culture of risk-taking in industry, government and the broader community. We encourage the full development and commercialization of research into new innovative eco-products, services and systems in the marketplace. Our goal is to link the three existing areas or networks of knowledge; Sustainability, Digital, and Design. We improve and accelerate knowledge flows from the sustainability networks and from the ICT networks to be synthesized into new innovations within a design network. In this process new ‘digital-eco-innovation concepts’ are produced and released for testing in the market. To exhaust the further potential of ICT for Eco Innovation, we host local workshops across regions and improve interaction between ICT and Eco Innovators. To learn more about these workshops, please contact your local ECE chapter leader.